Verde Denver Real Estate is Denvers leader in the Denver real estate market. Platt Park, Washington Park and Denver's Real Estate Specialists, Verde Denver Real Estate has been one of the leading providers of real estate services to those looking to sell homes in Platt Park, Washington Park and Denver for nearly 10 years. Having called Denver home for over 25 years and now residing in the Platt Park neighborhood they are the perfect choice to help you sell your home. Step 1 - Are you ready to sell? 1. You have completed your fact gathering process. 2. You are confident that your interests will be represented to your advantage. 3. 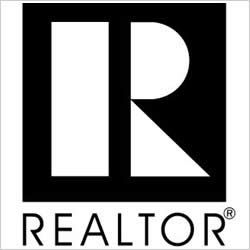 You are comfortable with the Realtor® your have selected to work with you. 4. The Selling plan you have developed meets YOUR needs! * When are you looking to Sell? * Are you looking to buy again in the local area? We pledge to you the strongest marketing effort not only locally, but nationally and internationally through our website and numerous other internet marketing outlets which we network through. As your Agent, it is our job to get your house sold! 1. Are home prices in your area trending upwards or downwards? 2. Are homes selling quickly or languishing? 3. Will your home be on the market in the spring home-buying season or the dead of winter? 4. What are current interest rates for mortgages? 5. Will you be selling in a Buyers or a Sellers market? 6. Is the local job market strong or are employees fearful of staff reductions? 7. How motivated are you for a quick sale? 8. Is it necessary for you as Seller to provide “incentives” such as a “pre-home sale” inspection, Home Buyers Warranty, financing assistance, Selling Agent bonuses? Many of these factors will be weighed in the First Step in marketing you Home – STEP 3 Determining the Listing Price.